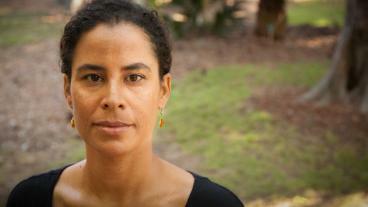 Kelly Lytle Hernández, professor of history and African-American studies at UCLA, was announced today as one of two 2018 Local Heroes honored by KCET and PBS SoCal, the channels of the newly formed Public Media Group of Southern California.The award honors the accomplishments of those who are dedicated to making a difference in their community, recognizing activists, educators, community leaders and visionaries doing critical work that often goes unrecognized in the Southern California region. An award-winning author, Lytle Hernández is considered one of the nation’s leading historians of race, policing, immigration and incarceration in the United States. Lytle Hernández was chosen for the work she has done promoting social justice, most recently with her Million Dollar Hoods project, which uses police data to monitor incarceration costs in L.A. and reports on trends in the local criminal justice system. Her most recent book, “City of Inmates: Conquest, Rebellion, and the Rise of Human Caging in Los Angeles 1771-1965,” has been the recipient of multiple book awards, most recently earning the 2018 Robert G. Athearn Prize for best book on the 20th Century American West and the 2018 John Hope Franklin Prize from the American Studies Association. This year’s Local Heroes were chosen from a group of 15 outstanding individuals nominated by the KCET Community Advisory Board, a group of volunteers from across the community who play an integral part in the planning and implementation of many KCET outreach programs. Short films on both Local Heroes, Lytle Hernandez and Chef Bruno Serato, produced by KCET’s SoCal Connected will begin running as interstitials on KCET starting today and can be viewed online at kcet.org/localheroes.